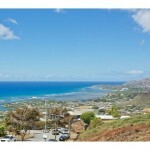 Kailua Homes for Sale - Real Estate in Kailua | Locations LLC. The breezy and relaxed neighborhood of Kailua is located on what is called the “windward,” or “east” coast at Kailua Bay on the island of Oahu in Hawaii. Kailua is 12 miles northeast of downtown Honolulu, and the commute from Kailua to downtown Honolulu takes about 30 to 45 minutes. Although a tad far from downtown Honolulu, Kailua’s lure is its peaceful respite from the city, excellent school district, and spectacular beaches. Kailua is a residential community with largely single-family residences and a few condo high-rise developments. There are a wide variety of single-family homes available but prices are rising very quickly. Not surprisingly, homes near the shoreline and on the oceanfront run in the millions of dollars. If a buyer can consider something more inland, he or she can afford a home perhaps in the $700,000’s or $800,000’s price range. Due to these prices, residents in Kailua are solidly middle class to upper middle class. 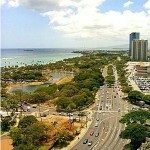 In fact, the 2010 census states that the median income for a family in Kailua was about $80,000. There are many pocket neighborhoods in Kailua, such as Keolu Hills, Enchanted Lake, and Kalaheo Hillside. These neighborhoods, once affordable, are now rapidly rising in price as middle class buyers are being pushed out of more expensive areas. For example, in 2013, a typical three bedroom, two-bathroom single family home with a 7,000 square feet lot and about 1,300 of square feet living of living space located within Enchanted Lake started at about $770,000. About 10 years ago, it was half that price. Aside from the large and expensive estates near the shoreline, most of the homes in Kailua are not renovated and constitute older, generational homes which have been passed down from generation to generation. Due to this, when these older homes come on the market, they are a favorite among investors who flip them into modern residences with a premium price tag. For buyers who think the area of Kailua sounds familiar, they are right: President Barack Obama’s oceanfront vacation home is located in Kailua. Kailua’s beaches are world famous for their snowy white sand and sparse crowds, and are often cited as Hawaii’s best beach. Compared to the throngs on Waikiki Beach, Kailua’s beaches — Kailua Beach and Lanikai Beach — are serene and magnificent.